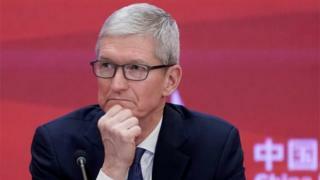 Apple chief executive Tim Cook has called for the retraction of a story alleging Chinese infiltration in its and other major firms' infrastructure. Bloomberg’s Businessweek published a story which said malicious chips were built into servers that had been manufactured in China. Businessweek has said it stands by its reporting. "Bloomberg Businessweek's investigation is the result of more than a year of reporting, during which we conducted more than 100 interviews,” the publication said in a statement. “Seventeen individual sources, including government officials and insiders at the companies, confirmed the manipulation of hardware and other elements of the attacks. "We also published three companies’ full statements, as well as a statement from China’s Ministry of Foreign Affairs. Businessweek’s story, published earlier this month, sent shockwaves around the technology industry, but almost immediately provoked an unequivocal backlash from the companies said to be affected. What’s left is an intense stand-off between a magazine famed for its thorough fact-checking, and companies that have offered their denials in the firmest of terms. In Apple’s case, it’s the first time the company has publicly called for the retraction of a story. "We turned the company upside down,” Mr Cook told Buzzfeed. Apple’s denials are matched by its peers in the industry - such as Amazon - and also by government agencies in the US and globally. “The Department of Homeland Security is aware of the media reports of a technology supply chain compromise,” a department spokesman shared in a statement. "Like our partners in the UK, the National Cyber Security Centre, at this time we have no reason to doubt the statements from the companies named in the story."